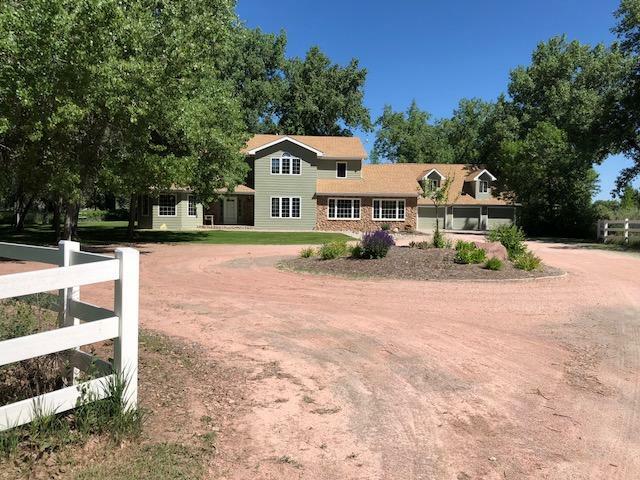 Description : Gorgeous large country estate sitting on 4 acres overlooking the North Platte River and the beautiful valley. The home has over 7,000 Square Feet of living space. The open floor plan and the large windows allow the view of the valley and its beauty to be viewed from all locations in the home. 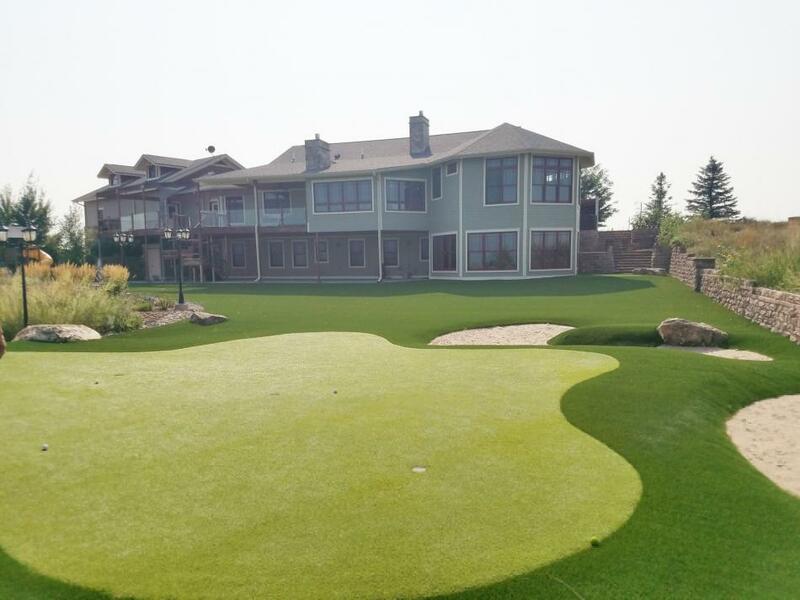 The home has a lovely outdoor fireplace, sitting area overlooking the valley and the putting green. Never need to worry about mowing with the synthtic turf in the backyard. The yard is fenced with a lovely brick wall. There is a hot tube and patio off the master suite, Jack and Jill bath and bedrooms, walk-in-closets, gorgeous wood work throughout the home. Maids quarters are over the garage with a butlers kitchen just off the oversized 3 car garage. Top quality construction makes this home a real buy. This is move in ready. Must see this home. 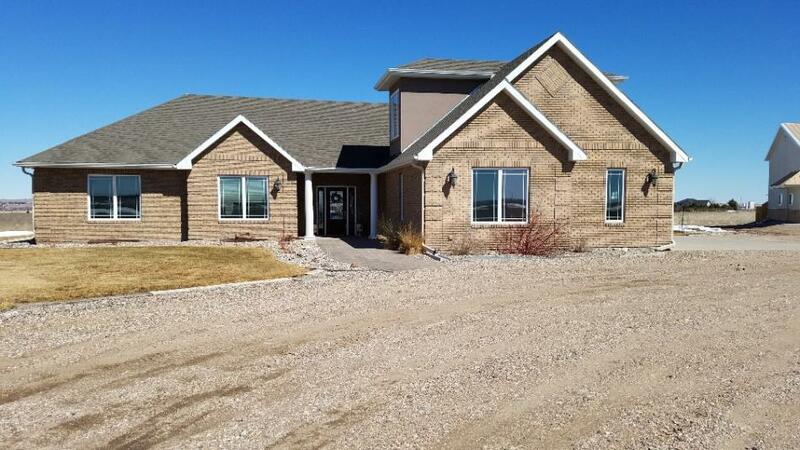 Description : This incredible home has unbelievable views of the North Platte River Valley. 4 patios (one being screened in). The great room is open to the dining room and kitchen. The kitchen features maple hardwood floors, tile counter tops and maple cabinets. 2 Pellet stoves, on demand hot water heater, forced air heat. Solid core oak doors. Quality materials throughout this custom built home. Description : The beautiful 4 bedroom, 4 1/2 bath home has many extra features. Each bedroom has a walk-in-closet and bathroom. There are 2 on demand hot water heater, 2 furnaces and 2 air conditioning units, 2 septic systems. The home has granite counter tops in a dream kitchen, hardwood flooring, gorgeous tile work, crown molding, and a covered patio. There is a 3 car attached garage with floor drains, and a 40 x 60 Morton Building with a finished portion that has heat and a bathroom. There is a nice storage loft in the Morton Building. There are additional extras with this home such as a dog run, play set, and ice machine (in the shop) are included. Raised garden areas and a nicely landscaped yard. Description : Immaculate 3 bedroom, 2.5 bath with a 3 car detached heated garage on 18.68 acres. 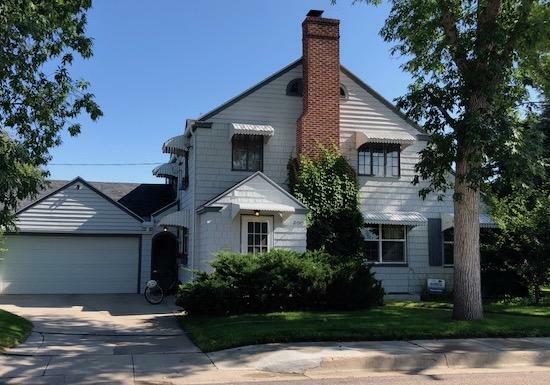 This lovely home is nestled in gorgeous mature trees along the Platte River. The acreage features a horse barn with runs and water making this the perfect setting for the horse lover. The property is fenced with white vinyl fence. This is a once in a lifetime change to own the perfect property in the country. New paint on the outside was recently completed. Must see. Description : Beautiful custom built brick home. 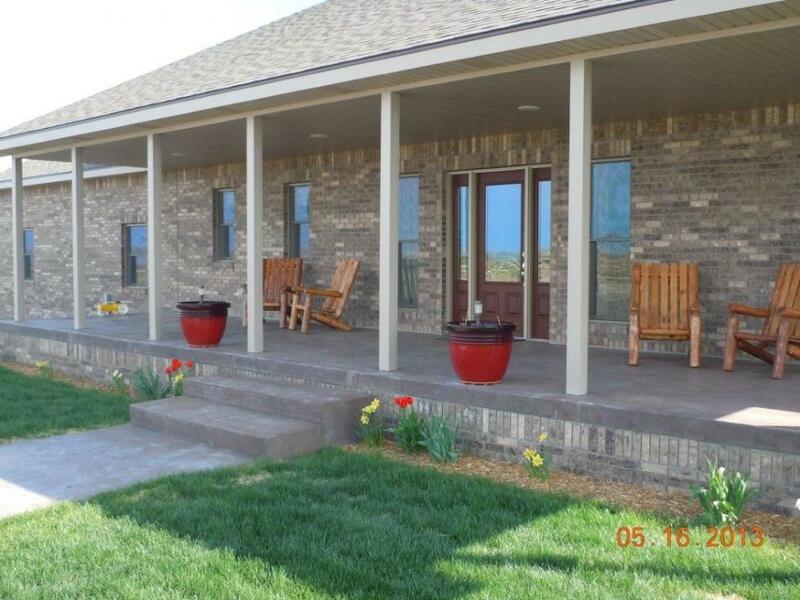 This home is located on 9.96 Acres that is fenced. The home features 4 bedrooms with each bedroom having its own bath. The main floor has an open floor plan the includes the kitchen, living room and dining room. The kitchen features Hickory Diamond Cabinets with soft stop drawers, granite counter tops, black appliances, hickory hard wood floors in the kitchen, dining room and living room. View out the patio door show the beautiful Wyoming Sunsets. The lower level (with walk-out-ground level access) consists of a large family room with beautiful Hickory built-in cabinets, 2 bedrooms, 2 baths, and a large store room. 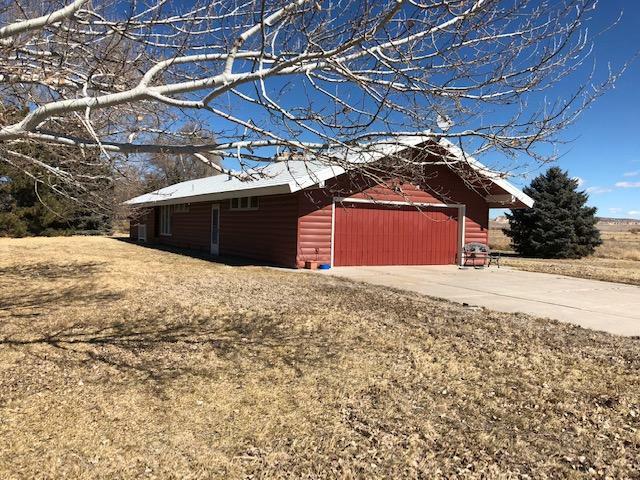 The backyard features a covered patio, upper level deck, green house, storage shed, and a 3 stall horse barn, with tack room and upstairs loft. There are raised garden beds in the back. Buck rail fencing surrounds the area. Private well and septic system. Large garage is finished and can be heated. The property is located in a quiet subdivision. Water well is 240' with 8-10 gallons/minute (naturally soft). School bus comes right to the property for the Southeast School or the Torrington School. Description : Immaculate family home locatd on a nice street. 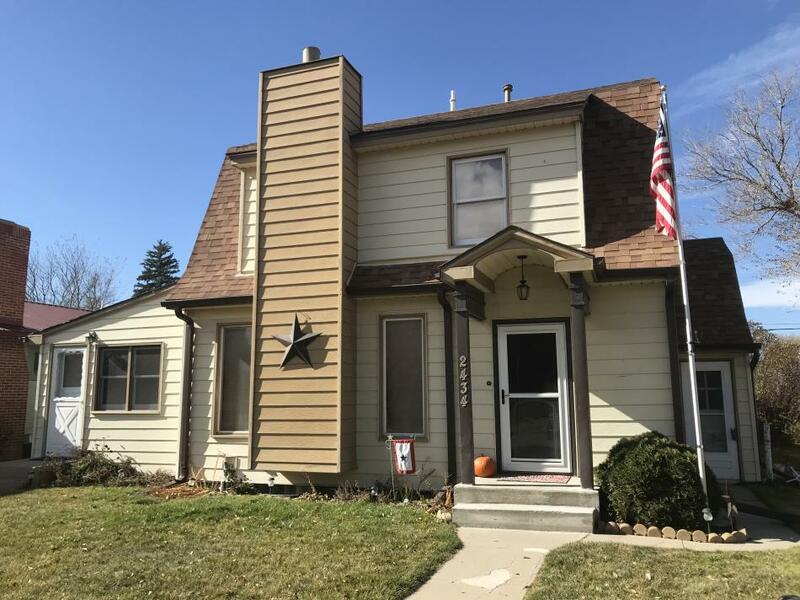 This well cared for 2 story home features a main level master suite, formal living room, dining room, den, laundry and 1/2 bath. Upper level features 3 bedrooms and a full bath. The basement level features a large bedroom, family room, 3/4 bath and a store room. All bathrooms have been updated with extrememly nice showers. Master suite bath has a double sink, walk in shower, and a large walk-in closet. This home has had extremely great care and is move in contition. 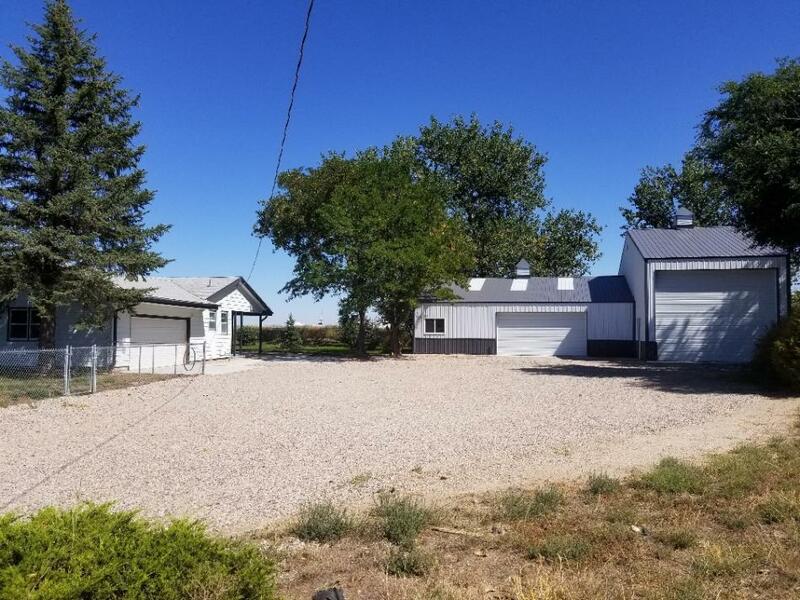 Description : This secluded home features acres, but so close to town with city water and a private well for irrigation. The home features a cathedral ceiling in the large living room/dining room, brick fireplace with a gas insert, eating area off the kitchen with lots of built in cabinetry. Kitchen features granite counter tops, new appliances, and new tile floor and abundance of cabinets. There are 3 bedrooms, Master Bath with showr and tub and his/her sinks. The 3/4 bath has a new tile floor and a new bathroom sink. Description : This is a great multi-purpose property. One side could be used as a private residence while the other is a rental. the seller has used the one unit as a private residence since the duplex was built. There property is in excellent condition and ready for a new owner. The property has great curb appeal. This is a must see property. Description : Recently undated 4 bedroom, 2.5 batrh home featuring an open floor plan, wood burning fireplace, wood burning stove in the bsement level, some new flooring, paint andlots of trees have beenplanted with a tree spade. The newest addition to this property is a Cleary Building that can house a large motor home. The Cleary Building has two large doors 14 x 16 and 9 x 16. The building has a concrete floor. This building is the perfect place to put all your toys, especially the oversized ones. The basement of the home features a large family room and 2 bedrooms along with a bath. The home has new egress windows in the basement, new cement ousdie for a paitio and some sidewalks. There is a chainlink fence that encloses the property. 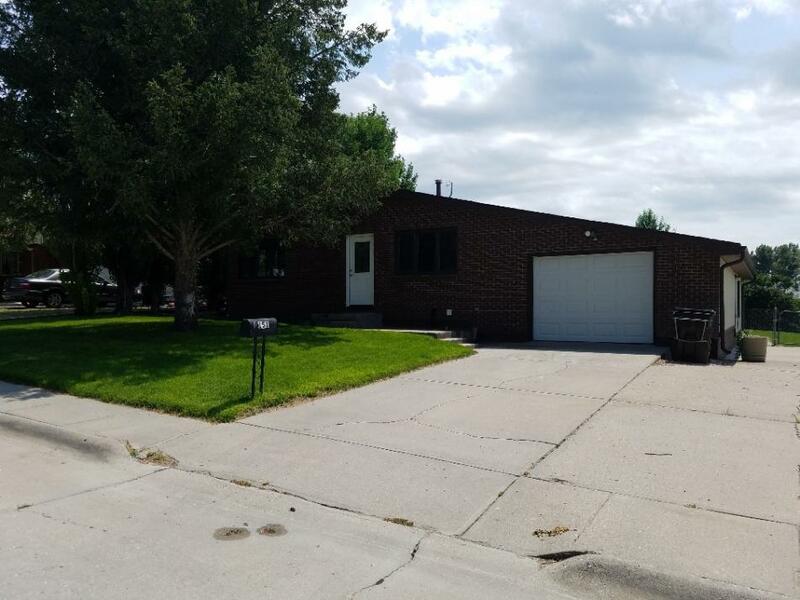 Description : This extremely well cared home features 3 bedrooms with a master bath on the main level. Open floor plan features living room, dining room area and kitchen. Walk out to a covered patio overlooking a beautiful shaded yard on a corner lot. New roof, gutters, garage door, and siding were installed in 2015. New carpet in the basement and a new air conditioner. New windows were installed in 2002. There is an attached 2 car garage and storage shed give extra storage to this property. Great location with curb appeal. * Hot Tub is included in the sell. Description : Step through the front door and you will automaticall feel right at home. This is a lovely home with akk the luxuries that you are looking for. Updated Kitchen, countertops, granite sink and the flooring is new. 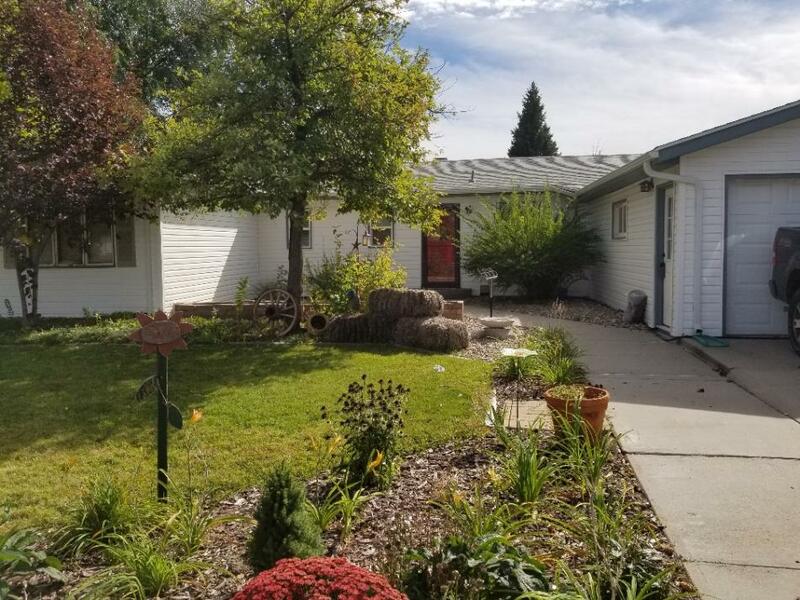 There is a gorgeous Sunroom 26 x 12 off the kitchen with a stunning vaulted ceiling and a lovely view of the mature landscaping in the fenced backyard. The main floor has the Master bedroom along with an additional bedroom. In the basement is a nice family room with a gas insert, as well as an additional bedroom and bath. There is a hot tub in the backyard where you can enjoy the tranquil beauty of the backyard. This is a must see home. See the MLS for closing information on this home. Selling agent incentive bonus is an additional $1000.00. Description : Welcome to this lovely McKenna Road home. Charming bi-level with plenty of space. The kitchen has been updated with new flooring and lighting. Peek at those new stainless steel appliances. The floor plan gives way to open space, with 3 bedrooms and 2 bathrooms on the upper level and 2 bedrooms and 1 bath on the lower level. Relax in the spacious lower level living area cuddled up next to the cozy fireplace. This home has a lot to offer. Fire up the grill and have some fun in the fenced backyard with the family. Enjoy the nice bar on the lower level while enjoying the fine fireplace. Come see what this home has to offer. Homeowners are offering a generous flooring allowance for the basement in the sum of $2000.00. Description : Don't miss out on this unique family home located on a corner lot. The brick home offers the character of a 1940 home, but the inside has been updated featuring a beautiful new kitchen with loads of cabinets and a large breakfast bar, updated bathrooms both up and down, new flooring, unique curved windows in the dining area and the original fireplace in the living room. 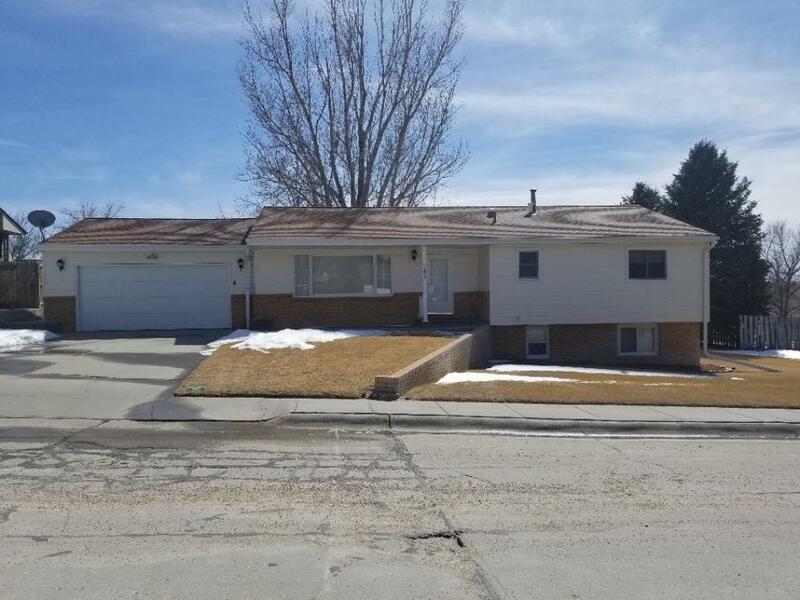 Corner lot features UGS, fenced backyard with in ground trampoline and a large RV shed/garage. This home is in immaculate condition. Description : This two story home was built in 1937 and has been kept to retain the beautiful feature of that era. Original hardwood floors, banisters on the stairs, fireplace, interior doors, that have remained orginal. Kitchen and baths have been updated. Corner lot features mature trees and shrubs that shade and protect this home. There is a. covered screened in patio in the fenced backyard that is another living space in the summer and fall. Fenced garden spot. 2 car attached garage with a large workshop/storeage area. The home features 3 bedrooms and full bath on the upper level and 1 bedroom and 3/4 bath, family room and laundry on the lower level. The main level features a living room, kitchen dining room, and office/den. The home has new shingles installed in 2016. Description : Clean and freshly painted 5 bedroom home with a lovely sunroom. New roof, new paint, new kitchen sink, and new tile. This home is ready for a new owner and is move in ready. Fenced backyard with UGS system, central air condidtioning, sunroom that leads to the beautiful backyard. There is an extra room off the kitchen that was once a beatuy shop and could easily be a main floor laundry room. Beautiful kitchen with large eating area. the Basement features 2 bedrooms, 3/4 bathroom and a large family room, store room and utility room. 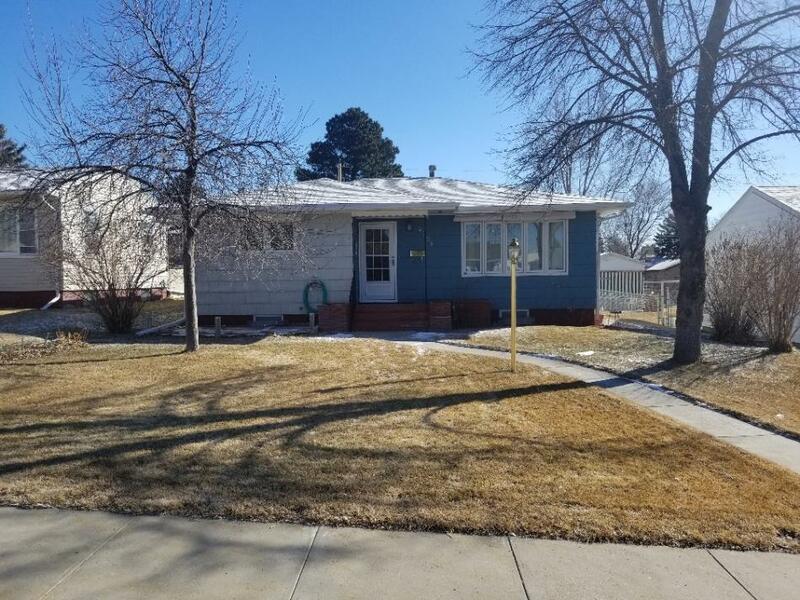 Description : This is a very well maintained home, move in ready, 2 bedrooms one bath and a den on entry level and 2 bedroom one bath on the lower level. 2 car detached garage, UGS system, new furnace and other updates. Quiet part of town. 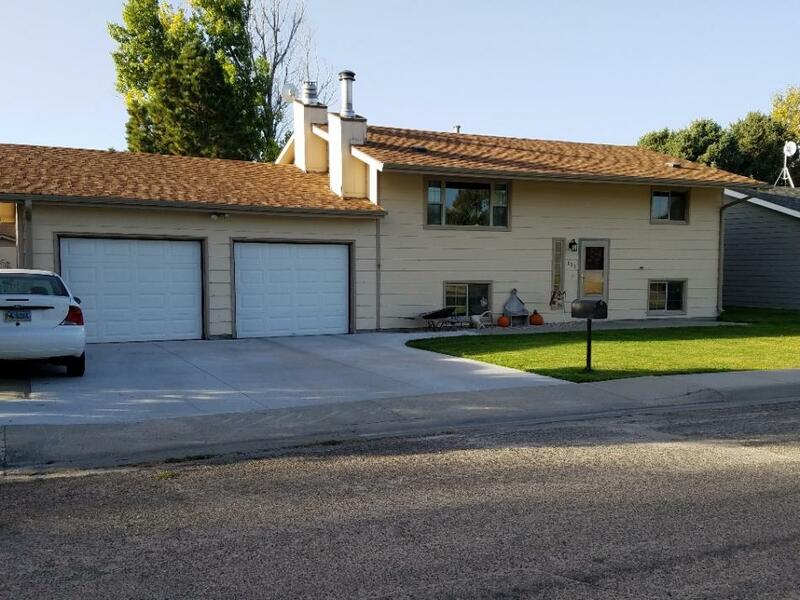 Description : Nice Ranch Style home with 3 bedrooms, 1 3/4 bath on a large corner lot. Large Master Bedroom and Master Bathroom with a walk in shower and new French doors to the patio. There is also a new stacked stone gas fireplace in a large living room with high ceilings and crown molding. Stainless steel appliances, granite tile counter tops. all new main bathroom with subway tile surround. 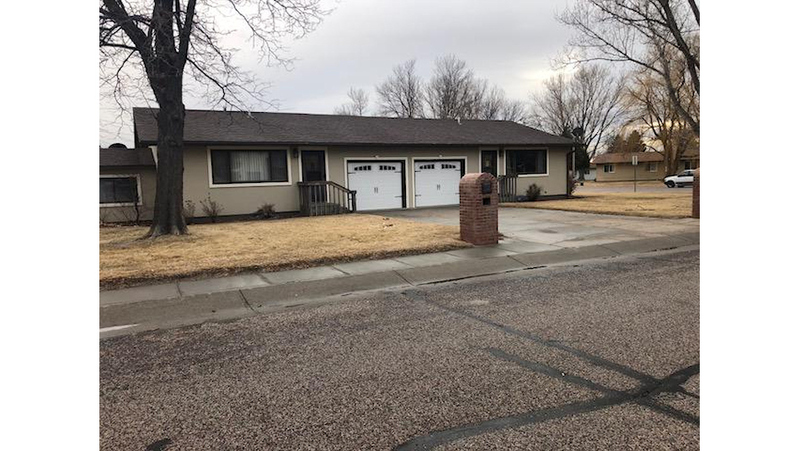 New flooring throughout, new water heater, new soft water system, new vinyl siding hail resistant roof and under ground sprinkler system, 2 extra house rooms. Extra large 2 car garage. Location : 131 Park Ave.
* Storage shed in the backyard for more storage needs. Description : This 4 bedroom, 1 3/4 bath home is in immacvulater condition. New microwave, new water line from the street to the house, driveway was new in 2017, new carpet, new sod and UGS in the front yard. Fresh paint inside, updated basement bedroom and bath in the lower level. Attached finihsed and insulated garage. Nice deck off the kitchen overlooking a beautiful backyard that is fenced. Nice storage shed in the backyard that is fenced. Great locatiobn as it is cvlose to the public pool and park. Stainless steel kitchen appliances, tile kitchen floor. Move in condition. 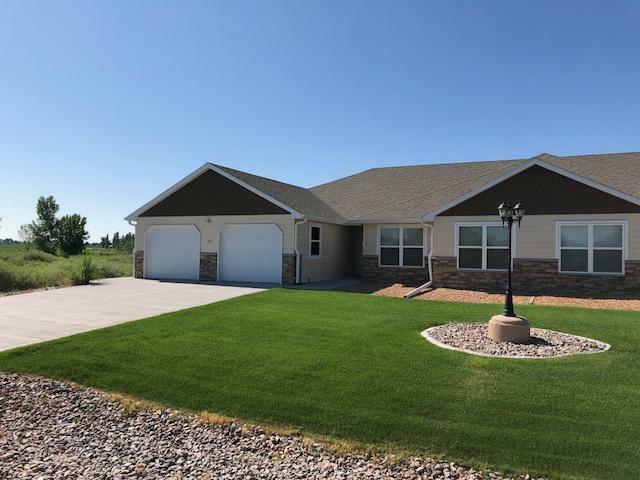 Description : This home is priced to SELL! Don't miss out on this one! 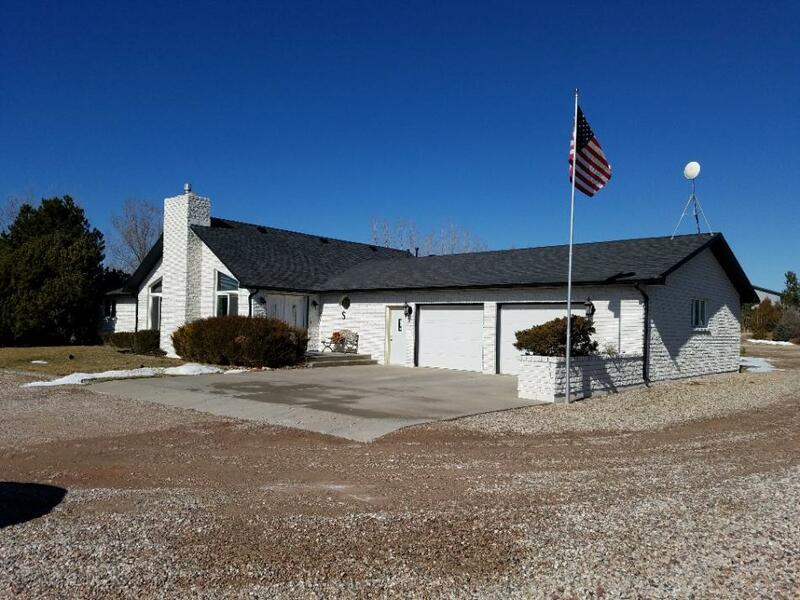 This 2 story Cape Cod home is unique to Torrington, WY and loaded with charm. 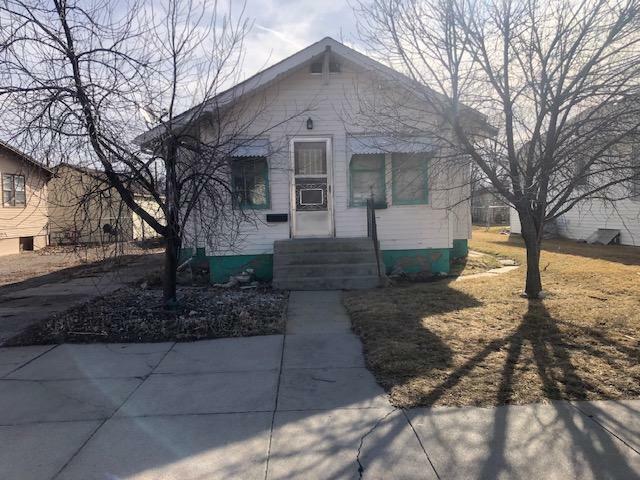 This 3 bedroom, 2 3/4 bath home features an Under Ground Sprinkler system, Central Air, a Fenced backyard, 2 car detached garage and a flagpole. This home is perfect for the growing family with 3 levels of living space. The home has many great features including an office. The home is close to Torrington High School and Torrington Middle School as well as to the downtown area. New Plumbing has been completed. Please allow 24 hours for showing requests. Description : This is a perfect starter home for a couple or a small family. 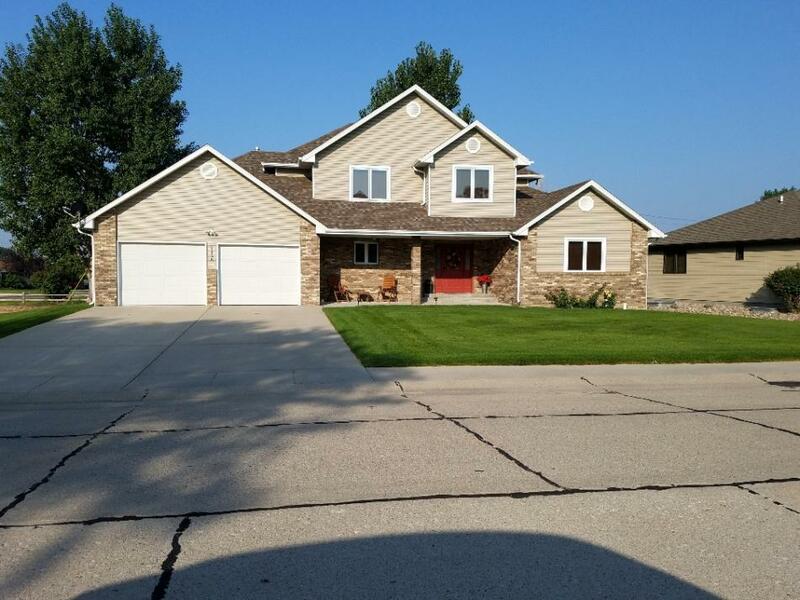 The home sits on a nice larger corner lot in Henry, NE. 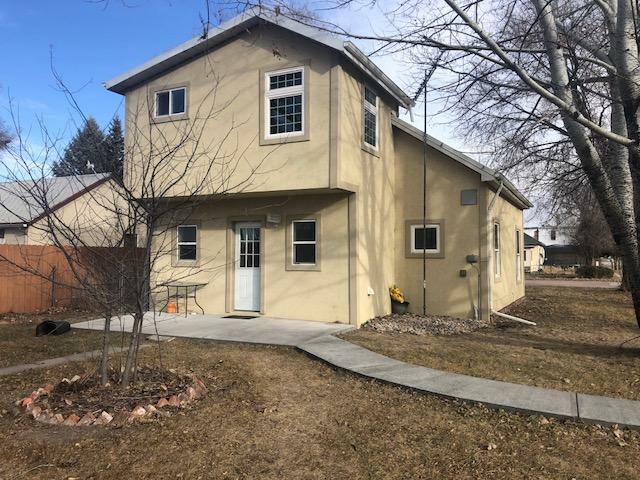 This home was completely remodeled a few years ago, so it is like new. The current owners have taken good care of the home and it is move in ready. The home is tastefully done and would meet the needs of anyone interested in a cute home. This would also make a great rental property. This property is priced to sell. Description : The 2 bedroom, 1 bath home with an additional garage is reasonably priced to sell as is. The home is in need of repair. The garages are attached to each other. There is a twin barrel heating system in the larger 24 x 28 garage and also could serve as a shop. The garages are not attached directly to the home. The home sells as is.